If you are looking for affordable makeup, you may add in BTLA cosmetics in your list! These are affordable drugstore brand distributed by L.A. Girls. Like my blush here? I am using BTLA Matte Blush Duo (mixed) in Spice. I got 2 shades to test but I'm keeping one to prepare for a giveaway on my IG account so please follow me there! (Shameless plug). Spice comes with matte shades of pink and peach. Both are cool-tone and blends well together too! I like to use a soft natural-bristled brush in application because a little goes a long way! You have to be careful as with just a few swirls, you get a whole lot of product so tapping off excess powder is recommended before you apply on your cheeks. The mixture of pink and peach used together is perfect because the pink shade serves as a "highlighter" on my cheeks while the peach color is the blush color itself. 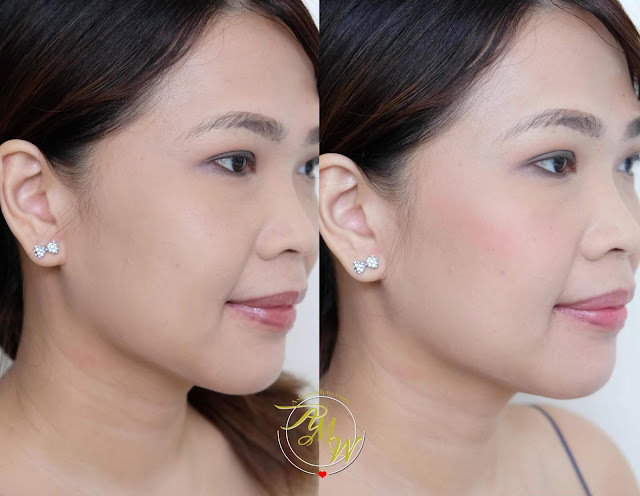 This would work on fair to dark complexion but keep in mind that if you have dark complexion, the effect will be more of a "highlight powder" as compared to being a blush color. No brush included so you have to own a separate brush. Longevity? Lasts 4-5 hours for normal and dry skin, a bit shorter if you have oily skin. Very easy to make a mistake in application due to its' high pigmentation, if you over-applied, don't worry and top it with your favorite powder foundation to blur out the color. How do you like BTLA Blush? Have you seen the brand in stores near you? BTLA cosmetics are available at Watsons, The SM Store or Treats of LA nationwide.